The sleep disorder of insomnia, defined as difficulties with falling asleep, maintaining sleep and the experience of an unproductive sleep which results in inefficient daytime functioning, is categorized into primary and secondary or comorbid categories (Erman, 2007; Riemann et al., 2010). Under the category of primary insomnia, the three subtypes recognised are psychophysiological, paradoxical, and idiopathic insomnia (American Academy of Sleep Medicine, 2005). The International Classification on Sleep Disorders, however, made use of the term ‘sleep state misperception’ in place of ‘paradoxical insomnia’ to classify a subjective complaint of sleep disturbance without corresponding objectively measured evidence (ASDA, 1990; Dorsey & Bootzin, 1997). Notably, patients with sleep state misperception exhibited more stage 1 and 2 sleep than slow-wave stage 3 and 4 sleep, similarly to other insomniac patients. Together with psychophysiological insomnia, the underlying symptoms of sleep state misperception have been attributed to an individual’s persistent state of hyperarousal (Bonnet & Arand, 1997; Perlis, Merica, Smith, & Giles, 2001). A study by Pavlova et al. (2001) assessed insomniacs and normal controls on a Hyperarousal Scale consisting of self-report items describing behaviours relevant to primary insomnia patients. It was shown that the insomnia group had significantly higher mean Hyperarousal total scores compared with the control group. In the earlier report by Bonnet and Arand (1997), which listed measures of the hyperarousal state, insomniacs displayed increased physiological metabolic rate, body temperature, tensed and confused mood, vigour, and subjective sleep latency. Clearly, it would have been difficult for hyperaroused individuals to transition from such a state into the low arousal slow-wave and REM sleep stages, lending some explanation to the observation of prolonged sleep latency complaints. 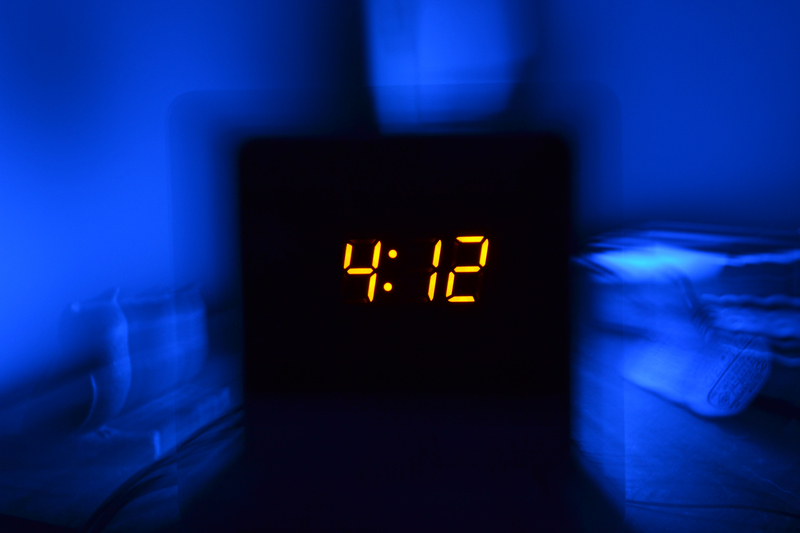 There appears to be a tendency towards misperception by certain insomniacs; for instance, those with sleep state misperception, that sleep is difficult to attain, and waking time is unexpectedly lengthy in the absence of evidence. According to tests which examined the relation between subjective sleep latency and arousal, it was discovered that participants who consumed caffeine, which increased their arousal, had increased ratios of subjective to objective sleep latencies. This implies a close relationship between hyperarousal and inaccurate perception of prolonged sleep latency. A study which compared patients who experienced different subtypes of insomnia, including psychophysiological insomnia, sleep state misperception and insomnia with depressive disorder, found that those with sleep state misperception sufferers were the only group that overestimated their total sleep time, while subjective sleep latency was significantly overestimated across all groups (Vanable, Aikens, Tadimeti, Caruana-Montaldo, & Mendelson, 2000). American Sleep Disorders Association (ASDA). (1990). International classification of sleep disorders: Diagnostic and coding manual. Rochester, MN: Author. Erman, M. K. (2007). Insomnia: Comorbidities and consequences. Primary Psychiatry, 14, 31–35. Larsen, R. J., & Buss, D. M. (2014). Personality psychology: Domains of knowledge about human nature. New York, NY: McGraw-Hill Education. Perlis, M., Merica, H., Smith, M., & Giles, D. (2001). Beta EEG activity and insomnia. Sleep Medicine Reviews, 5, 365–376. Vanable, P. A., Aikens, J. E., Tadimeti, L., Caruana-Montaldo, B., & Mendelson, W. B. (2000). Sleep latency and duration estimates amond sleep disorder patients: Variability as a function of sleep disorder diagnosis, sleep history, and psychological characteristics. Sleep, 23(1), 71-79.